These Zinnias have been the most faithful little flowers. They fared better than any other plant in my yard this year, so in honor of them, I made a little garland and strung it over my fireplace :) I had to do something with these little beauties before the frost got them. 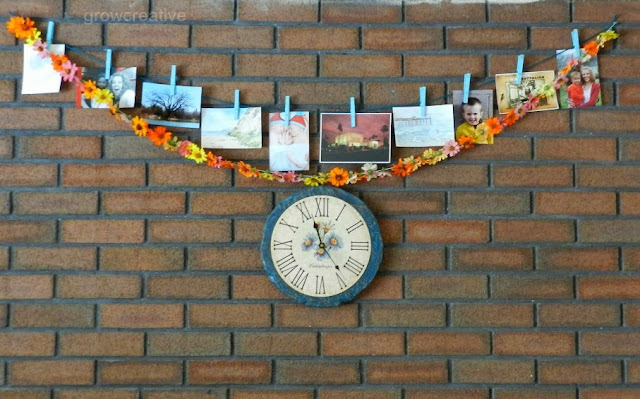 Want to make a garland for yourself? 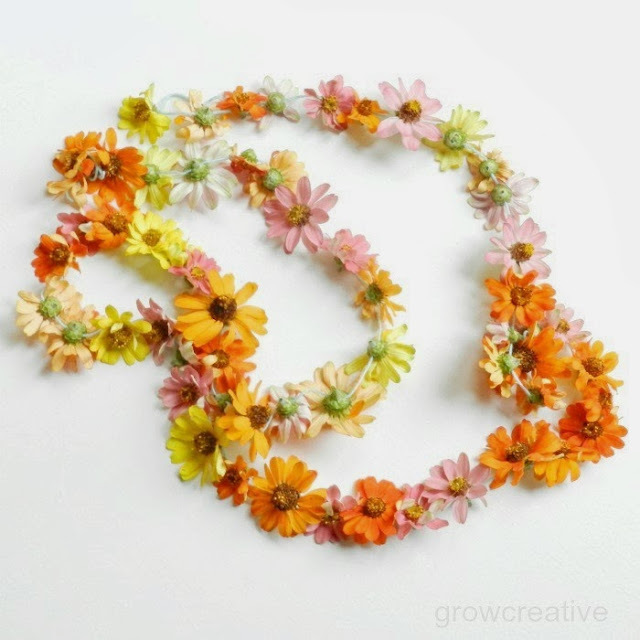 The process is simple- similar to my Flower Wrist Corsage. Step 1: Wash and cut stems off of the flowers. Step 2: Cut string to desired length and thread needle. Stick the needle through the backside of the flower near the base of the stem. Thread string through the flower, pushing it to the end. Fasten the tail end with a knot to keep the flowers from sliding off. Step 3: Continue to string flowers until the length of your string is filled up. Tie a knot on the end and hang up your garland anywhere you like! 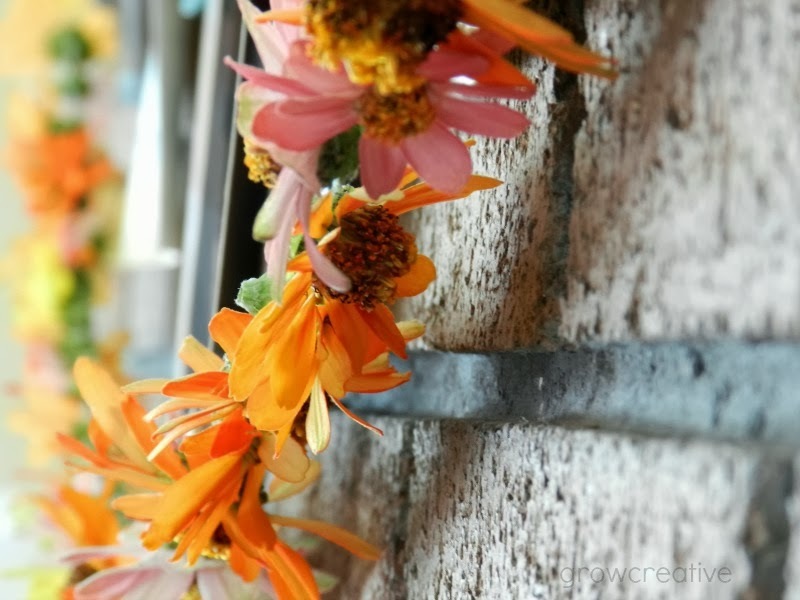 Note: A fresh flower garland may only last a day or two- (dang it!). If you want a longer lasting garland, try using silk flowers instead. Very pretty and a nice way to get your flowers in the house to enjoy them before old Jack Frost takes them away. 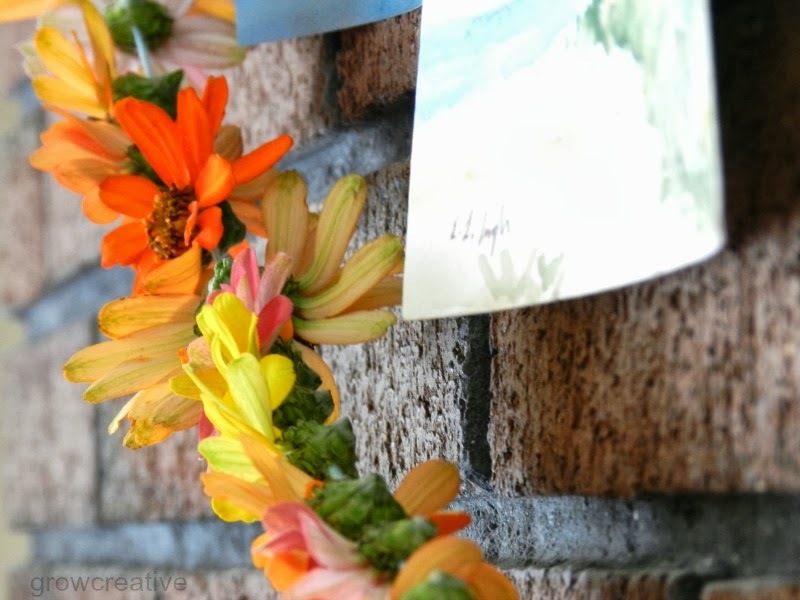 Your garland is beautiful! Thank you so much for popping over!!! Your blog is lovely!! Pretty! My zinnias look totally different from those. There must be different varieties. Well actually, my one zinnia. The slugs ate all of my others this year. grrrr.